Purchase this product now and earn 2,100 Reward Points! 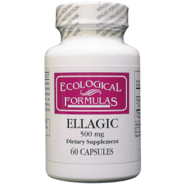 ELLAGIC is a scientifically designed dietary supplement containing ellagic acid derived from the fruits of the Indian medicinal plant Terminalia chebula. 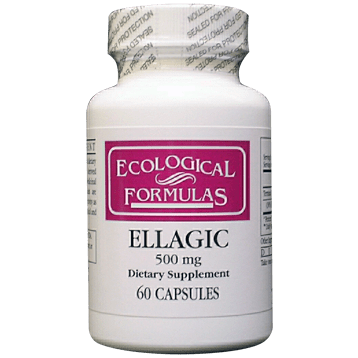 These fruits are known for their pharmacological activity as well as potential anti-oxidant, anti-radical and anti-mutagenic activities. Directions: Take one capsule daily or as directed by a physician.